We have elected a Weekly sell signal in the Dow and this is warning that we may yet see that November low during the week of November 3rd. The critical support now lies at 15961 and a weekly closing beneath this area will warn of a sharp correction that will make people’s nose bleed. Nevertheless, our models show next week as a turning point with Directional Changes back-to-back for the next 2 weeks and high volatility for the week of 11/03. Critical support also lies at 15555/ Only a monthly closing below this area would warn of a sustained correction. When we look at the cash S&P500, the market is stronger than the Dow reflecting the shift is still in place for the broader market leading. Our energy models are still bullish for the broad-term. Here we do see support lies at 1814 and 1766. We would need to see a monthly closing below 1814 to signal a sustained correction is possible. Where the Dow tends to target November, the S&P 500 targets December for a turning point with high volatility in November. 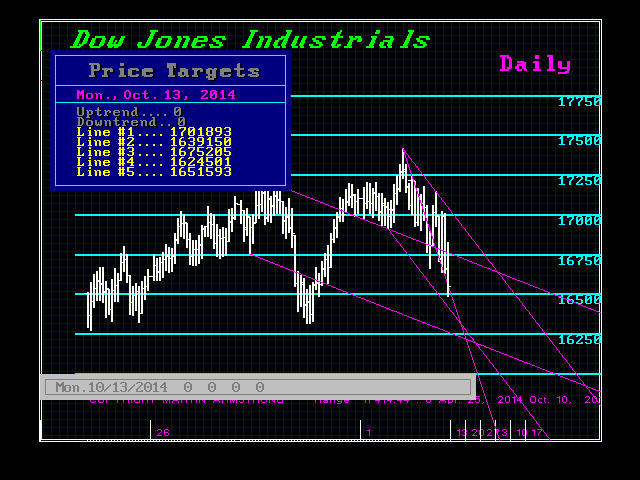 The weekly turning points still show choppiness 10/13, 10/27, and 11/10. Key days next week will be Monday and Friday. This is the same targets in the Dow on a daily level. 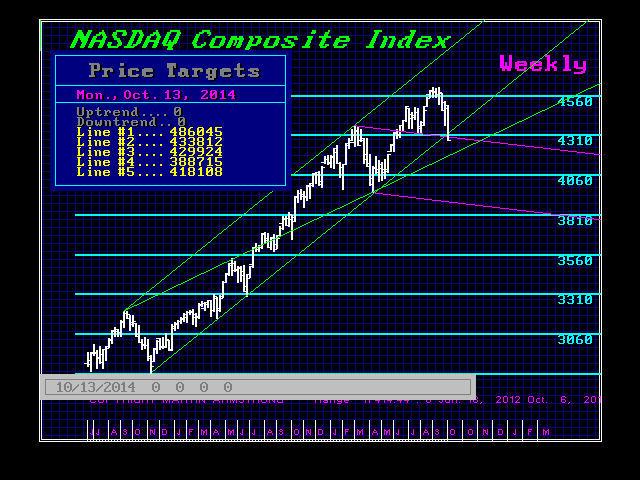 In the NASDAQ composite we see 10/13, 10/15, and 10/17 as daily targets with Wed showing high volatility. 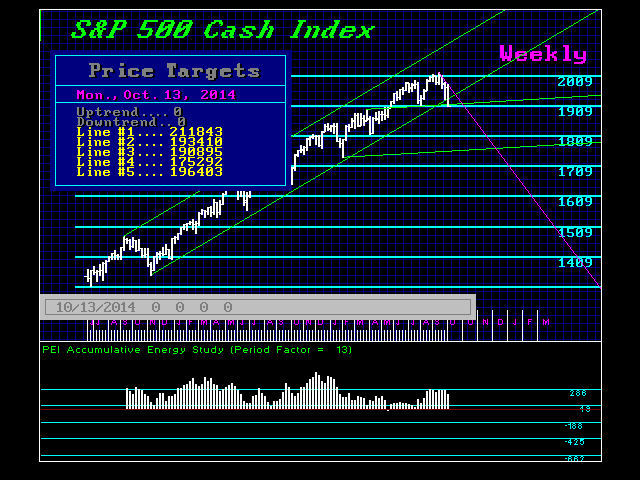 Here the key weekly targets are 10/13 and 10/27 followed by 11/10. Key support beings at 4239 and 4207. A monthly closing BELOW 4020 will signal a sustained correction. Keep in mind that November will be 72 months from the 2008 low in the NASDAQ. A low at that time on our long-range volatility models would imply we could set the stage for a strong rally after February.